​The Vegas Knights opened up ​Game 2 against the San Jose Sharks with a bang. Cody Eakin was able to find the back of the net less than one minute into the contest, handing the Golden Knights an early 1-0 lead. 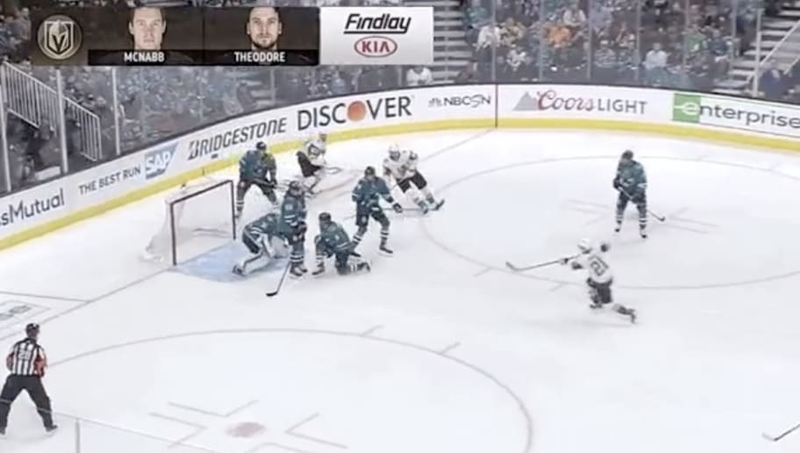 Martin Jones was able to deflect a wrist shot over the net, but Eakin recovered the puck moments later and fired one home for a score. The Knights are​​ looking to even up the ​series after taking a beatdown in Game 1, losing 5-2 in San Jose.